Randomness is an unavoidable notion in discussing quantum physics, and this may trigger the curiosity to know more of its cultural history. This text is an invitation to explore the position on the matter of Thomas Aquinas, one of the most prominent philosophers and theologians of the European Middle Ages. 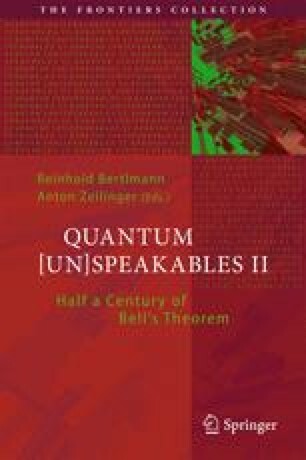 This text has been written for the Proceedings of the Conference Quantum [Un]Speakables II: 50 Years of Bell’s Theorem (Vienna, 19–22 June 2014). This text has greatly benefitted from discussions with and feedback or encouragement from: Antonio Acín, Michael Brooks, Jeff Bub, Jonathan Chua Yi, Valérie Cordonier, Artur Ekert, Berge Englert, Nicolas Gisin, Jenny Hogan, Matthew Leifer, Antoine Suarez, Giuseppe Tanzella-Nitti and Anton Zeilinger. My research on randomness is sponsored by the Ministry of Education, Singapore, under the Academic Research Fund Tier 3 MOE2012-T3-1-009 “Random numbers from quantum processes”.